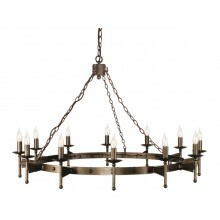 Conjuring up images of medieval lighting, this old bronze lamp is designed to make a visual impact while providing the optimal lighting experience. 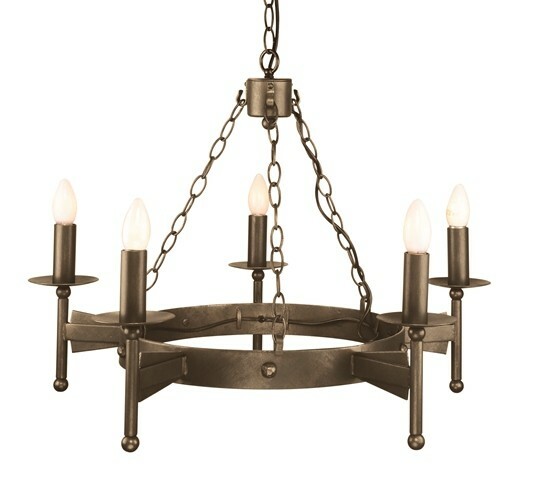 The designer did not fail on either account. 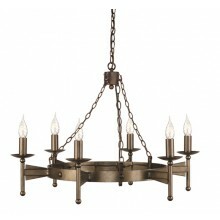 The lamp extends into the room being supported by a bronze chain that is attached to the base at the ceiling. 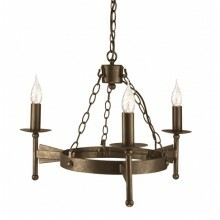 The bronze construction guarantees that the lamp will be durable. 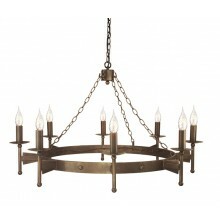 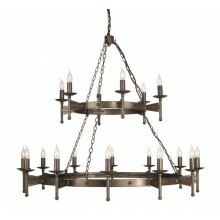 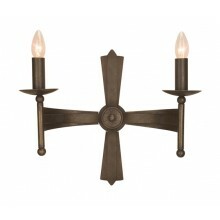 The bronze finish also lends to the richness of the lamps appearance. 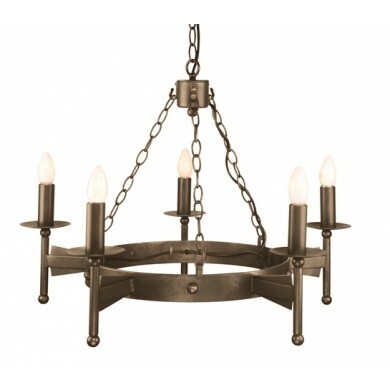 This traditional chandelier style lamp is ideal for a number of different traditional settings, including dining rooms, living areas and lobbies.